Since I have the trees, I picked about 100 black walnuts and set about to make the infusion of Black Walnut Liqueur. Don’t be too eager, it won’t be ready for about 12 months! 100 Black Walnuts quartered – You must pick before July in order to get them during their green state, before the hard shell develops. Chop the walnuts into quarters, add zest and vodka. 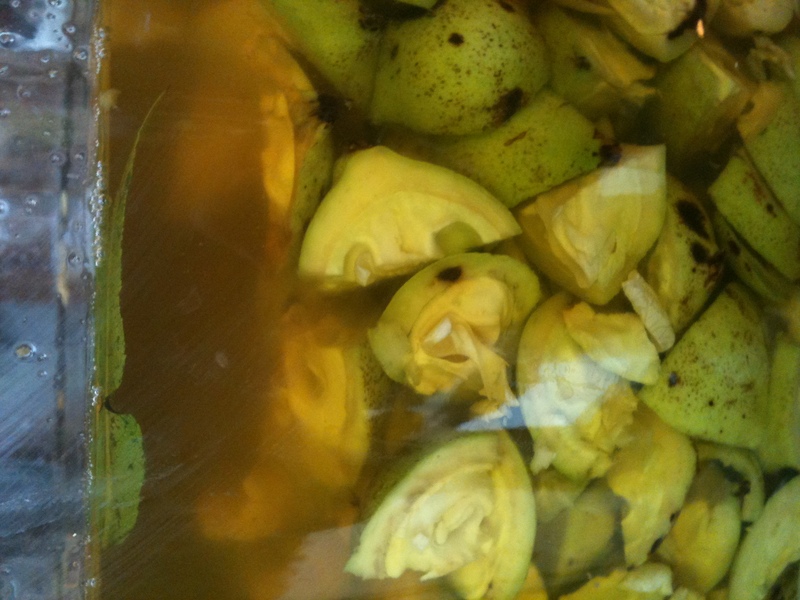 Combine in a glass jar and let it infuse for 40 days…. …..be patient….it hasn’t been 40 days yet. 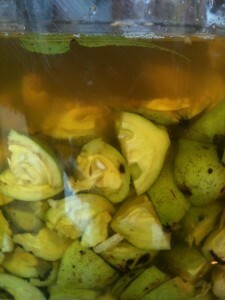 This entry was posted in My Cannery and tagged black walnut, liqueur, nocino. Bookmark the permalink.